Petmate Seat Belt Clip Tether protects people and pets by attaching your pet's harness to the car's seat belt buckle. Dogs can wander around the car when they're not properly fastened down, distracting the driver and making an accident more likely. Additionally, if an accident does occur, dog's that are not properly fastened risk sustaining a greater injury. Avoid these hazards by using this tether to attach your dog to a seat. 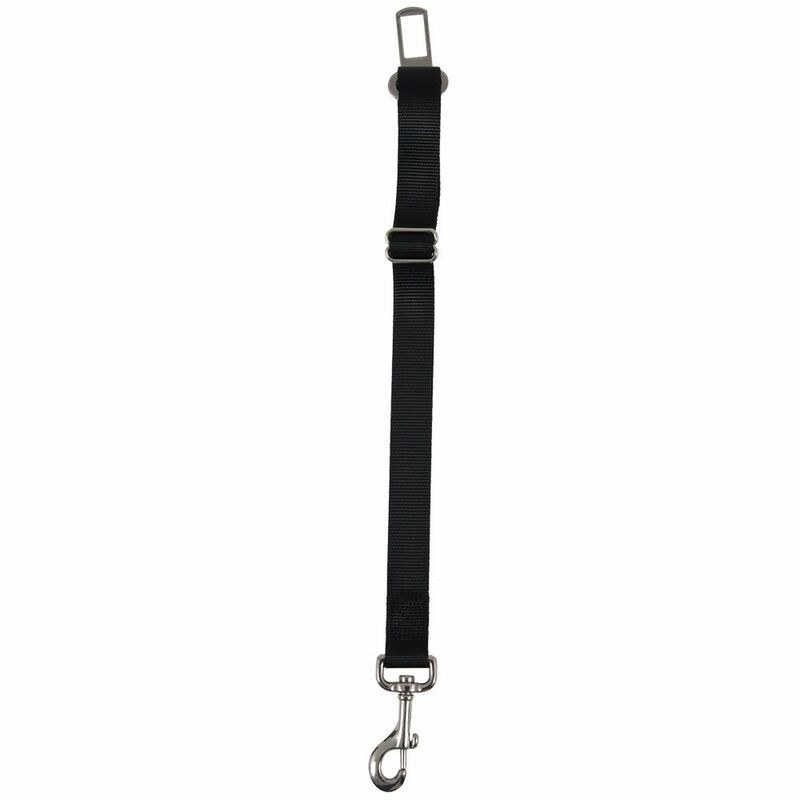 Petmate Seat Belt Clip is made from durable nylon and metal to ensure that it is secure. This package comes with a medium/large tether that is perfect for medium or large dogs- but there is also a small/medium size available for smaller dogs. Enjoy long car rides with your dog again by ordering the seat belt clip tether today! Warnings: Always use with a harness. DO NOT attach to collar directly as it can cause choking or neck injury to the dog. Always use tether in the back seat. Connect snap hook to harness D-Ring. Adjust length to enable the dog to sit comfortably.